Ch. Saint-Pierre is one of the smaller and lesser known properties within the appellation of St Julien. The 2015 brims with juicy red and black forest fruit, while the palate has a savoury twist of graphite. Full-bodied and flavoursome, this displays ripe, firm tannins and refreshingly crunchy fruit on the finish. 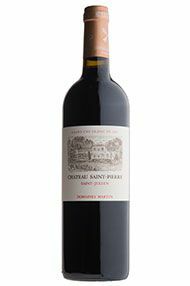 This may be a modest chteau (although its selection of old gnarled vines are a good sign) particularly in the context of the great names that surround it, but it is hugely underrated, as the 2005 proves. Known for its power and muscle, in 2005 it has added the communes characteristic charm, extra ripe fruit and a very long generous finish. This will surely be one of the best value wines of the vintage. Drink 2012-2025. BBR Score: 16.5/20. Parker Score: 92-94/100. 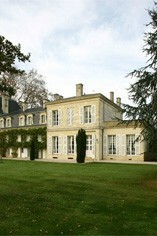 This is an old-style, classic St Julien built to last, with masses of structure and potential. The 65% Cabernet Sauvignon in the blend accounts for its firm, curranty aroma as well as the crisp, fresh acidity on the palate. There is a real sense of density to the core of the wine, a lovely persistence on the finish and considerable class overall. Ch. Saint Pierre is one of the smaller and lesser known properties with the appellation of St. Julien. Firm in structure, the tannins create a large frame, filled with rich, dark fruit and cedary oak hints. Opulent with a long finish which ends with a savoury hit. Beginning to show very well with a little well time to air, with perhaps 15 years of pleasure still ahead. Only 8000 cases a year are produced from this St Julien wine property and, for me, it is one of the best estates in this commune, just below the likes of Las Cases and Ducru Beaucaillou. From 2004 onwards this estate has outperformed most of its peers, and the last three vintages have been mesmerising. The 2010 shows some intense cassis and plums on the nose and huge amounts of freshly-crushed black fruit on the palate. It has a remarkable balance between fruit and acidity, and the tannins stretch all the way across the palate and into the finish. This is one of the wines of the week.